Cassone with the 'Meeting of King Salomon and the Queen of Sheba', Florence, Circle of Apollonio di Giovanni, 1450-1500, restored circa 1855, V & A Museum no. 7852-1862. This year is our last visit to the Victoria & Albert Museum Study Collections at Blythe House before it moves to the V&A East - Collection and Research Centre on the Queen Elizabeth Park in East London. 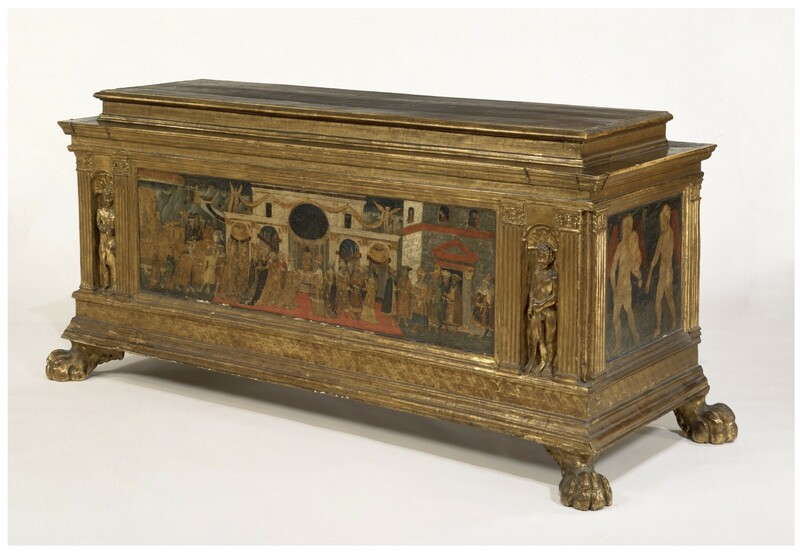 The visit will focus on the theme of Painted Furniture' with a team of V&A curators giving us the much-valued opportunity to examine a wide range of pieces closely and to discuss them in small groups. There are still places available on this visit, please notify the Events Secretary to express interest.